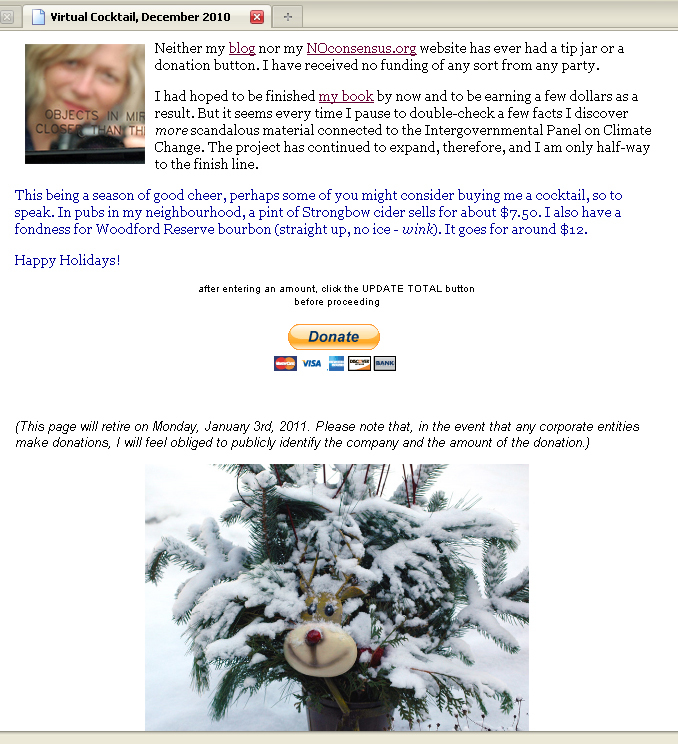 Profuse thanks to everyone who made a donation between Dec. 4th, 2010 and Jan. 3rd, 2011. Your support is tangible evidence that the book I'm writing is important. Your faith in me is humbling. I promise to work hard and to get the darn thing finished.